Dahlings, Reddit is again making news as the source for news. The other week, it was the source for rather upset wife posting a spreadsheet compiled by her husband, documenting why they have not being doing it like they do on the Discovery Channel. Not only that, but he showed a cold streak in him by emailing it to her before she went on business trip. She also shows some bad form by pasting it on Reddit. Maybe they are meant for each other. 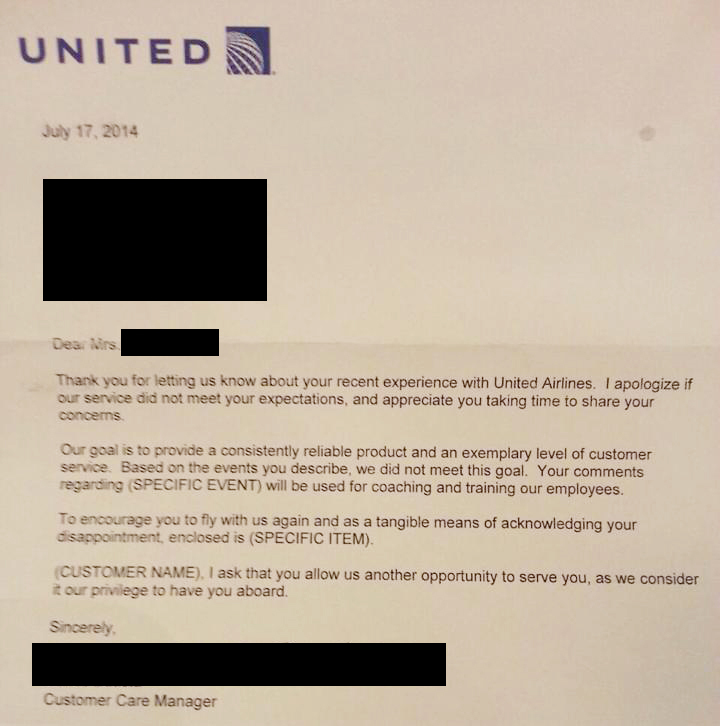 Recently posted by Reddit user “Lyndy” is a letter from United is a classic in customer (don’t) care if indeed the letter is true – see the image. 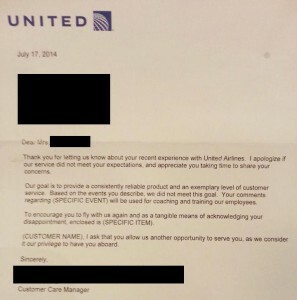 When asked for a comment, an unamed United spokesperson sent us a text saying “Whatever. Bite me you (SPECIFIC PROFANITY) ” .